This book is the first to combine interests in two currently popular approaches to language description, both of which are based on the observation of naturally-occurring, as opposed to invented, language. Systemic Functional Linguistics is a theory that focuses on meaning, choice and probability in language and on language as a social phenomenon. Corpus Linguistics is a practice, rather than a theory: a corpus is a large collection of texts that are used as the basis for language description. 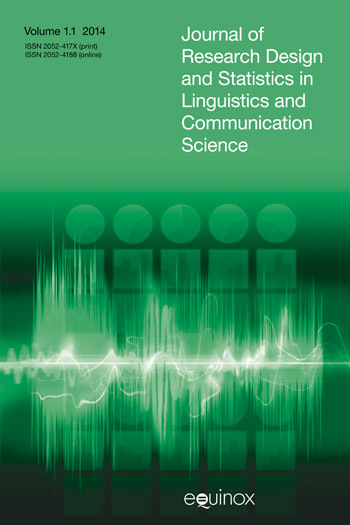 It is natural that SFL should turn to corpora as a source of information about grammatical preference, probability and variety, and some of the papers in this collection explore this dimension of the interaction between system and corpus. Conversely, corpus linguists have made generalisations about language that contextualize but also challenge the assumptions of SFL. Some of the papers in the collection expand on this theme. A concluding paper by M.A.K. Halliday responds to the issues raised. The book will therefore be of interest to students and researchers involved in either of these two influential topics in linguistics. 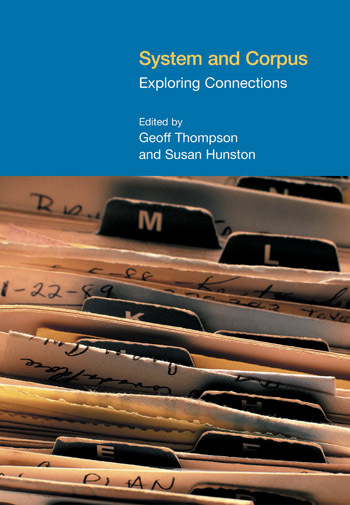 This book brings together two approaches to the description of language: Systemic Functional Linguistics (SFL) and Corpus Linguistics (CL). SFL is essentially a theory of language; CL is essentially a method for investigating language. Yet this dichotomy between theory and practice is too simplistic. As shall be discussed below, SFL is increasingly concerned with methods of quantifying linguistic features, and CL is becoming more intent on developing theories to account for its findings. Many practitioners, whatever their backgrounds, have a sympathy for both approaches and see them as complementary rather than in opposition. On the other hand, there are differences which are worth exploring rather than glossing over. This book explores the synergy between the two approaches, celebrating complementarities and articulating points of disparity. It is our belief that this exploration will benefit both SFL and CL, and will constitute a contribution to all ‘usage based’ models of language (Barlow and Kemmer 2000). I will discuss ways of using corpora to study the extent and strength of phraseology in English, and will then argue that evidence from these empirical studies can be used to tackle some long-standing unanswered questions relating to how language relates to cognitive and social systems. The fundamental insight of systemic functional linguistics, that language is choice, raises for me a worrying question: what exactly is chosen? It is this question that I wish to explore in this paper. The purpose of this paper is to consider the relationship between systemic functional linguistics and an approach to language which has arisen out of the study of large corpora, and which might be called the ‘phraseological approach’. Dr Gordon Tucker was formerly Senior Lecturer in the Centre for Language and Communication Research at Cardiff University, and is now, in retirement, Honorary Research Fellow in the same Centre. His research is located within the theory of Systemic Functional Linguistics, and in particular in the area of lexical and phraseological organisation within a Systemic Functional Grammar. He is the author of The Lexicogrammar of Adjectives (1998, Cassell Academic), and has published more than 40 journal articles and book chapters. He has taught courses as an invited scholar and has been a plenary speaker in Canada, India, South Korea, Brazil, Venezuela, France, Madagascar, Germany, Italy, Belgium and the United Kingdom. Much of his research and subsequent publications have involved modelling lexicogrammatical organisation in the light of corpus linguistic findings, and it has been especially the challenge of corpus linguistic research that has led to his seminal work on phraseology within a Systemic Functional model of language. Christian Matthiessen is Chair Professor and Head of Department of English at The Hong Kong Polytechnic University, Hong Kong. He is the editor and author of a number of books, most recently Introduction to Functional Grammar (co-authored with Michael Halliday, Hodder Arnold 2004), Construing Experience Through Meaning (co-authored with Michael Halliday, et. al., Continuum 2006), Key Terms in Systemic Functional Linguistics (co-authored with Kazuhiro Teruya & Marvin Lam, 2010). In this paper, I will give an interim report on a long-term project to establish the probability profiles of the key systems of the lexicogrammar of English (see Matthiessen 1995a) – systems such as taxis, logicosemantic type (clause complexes), theme, voice, mood, polarity and transitivity (clause). These profiles are based on the manual analysis of a reasonably extensive archive of texts (cf. Matthiessen 1999; Matthiessen 2002). This manual analysis and the profiles are developed by means of a workbench for doing systemic functional research developed by us in Sydney, with Wu Canzhong as the chief developer (cf. Wu 2000). At this stage, the analysis still has to be manual – the automatic analysis of large volumes of text from a varied range of registers is beyond the current reach of the systems (cf. O’Donnell 1994; Matthiessen, O’Donnell and Zeng 1991). However, certain specific aspects of certain systems can be investigated by means of automatable pattern searches in corpora. I will begin by addressing central theoretical and methodological issues (Section 2). I will then explore the quantitative patterns of the intersections of a number of systems of the clause complex and clause (Section 3), and finally I will investigate the relationship between quantitative patterns and qualitative ones (Section 4). In discussing these issues, I will also take the opportunity to illustrate some of the varied range of formats in which the data can be presented. This paper describes a study of verb senses in English and the stages involved in modelling a central aspect of them. The approach taken here attempts to model verb senses in a generative computer program that makes use of the choice-centred concept of the system network. This article is part of our joint efforts to bring a new perspective – the multimodal perspective – to corpus linguistics. Specifically, in this article, we will be concerned with describing our efforts, with other colleagues, to develop concordancing techniques within a multimodal framework that facilitates the systematic examination of film texts and enables recurrent semiotic patterns to be identified in a way that, is – at least in part – analogous to approaches within corpus linguistics to the analysis of language-only texts. This paper presents an attempt to study uses of size adjectives in English, German and Russian in their relationship to the communicative intentions of the speaker. The paper starts with a list of size adjectives to be studied and problems with their descriptions in existing studies. Then, I will present the systemic network for describing the uses of the size adjectives in texts and the trinocular view on the lexical network: ‘from around’, ‘from above’ and ‘from below’. Finally, I will discuss types of translation equivalence and differences between translations, when uses are described by means of the lexical network. Halliday’s paper, ‘On the grammar of pain’ (1998), was a pleasant surprise to me when I first read it, because of his clear analysis of pain expressions in English. Until then, I had long been wondering if the speakers of English had ways of expressing pain other than ‘headache’ and ‘stomachache’. Those two and a few more were (and are) the only expressions introduced in the English textbooks published in Japan and I should say most Japanese do not know other ways of describing bodily illnesses in English. That is why the paper by Halliday (1998) surprised me so much. When the first pleasant surprise faded away, I wondered how the different expressions identified by Halliday would be expressed in Japanese and I translated the 24 pain expressions in Halliday (1998: 16–17) into Japanese. Here I will further explore the conjunctions kɔ:3 and cɨŋ 1 as part of the system of conjunction in Thai narrative discourse, using a corpus-based methodology. The corpus-based research involves investigating the characteristics of the conjunctions kɔ:3 and cɨŋ . A number of tales are analysed to identify the particular features of these conjunctions. The different conditions of conjunction usage are quantified. This study is part of a complete study of the systems of Thai based on corpus evidence. It demonstrates a method of working from analysis of a corpus to the derivation of a probabilistic system. Martin Kaltenbacher is a Postdoctoral Research Fellow in the Department of English and American Studies at the University of Salzburg, Austria. In his research, he applies methods of Systemic Functional Linguistics and corpus linguistics to media discourse, language of tourism and news commentary. 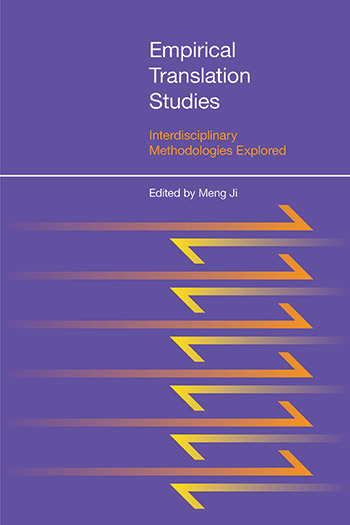 He co-edited books on Multimodality (Ventola, E., Charles, C., Kaltenbacher, M. Perspectives on Multimodality, Benjamins) and on Discourse Studies (Gruber, H., Kaltenbacher, M., Muntigl, P. Empirical Approaches to Discourse Analysis, Peter Lang). For the past three years he has been collaborating on a corpus based, international project called Styles of Persuasion in Europe, the aim of which is to explore similarities and differences in newspaper commentary across more than 200 European newspapers from 13 different European countries. This paper will present an SFL-based corpus analysis of a particular micro-genre of tourist text, i.e. the tourist website. It will concentrate on encodings of interpersonal meaning expressed through resources categorised under the Appraisal system, and it will investigate how the foregrounding or absence of such interpersonal meanings can be related to popular cultural stereotypes held about certain language communities. For this purpose a corpus of approximately 1.1 million words has been compiled, which consists of an Austrian, an American and a Scottish sub-corpus of websites relating to tourism. It will be argued that the Appraisal framework as developed by Martin (2000) and White (1998, 2001) is particularly suited for corpus analysis. Some of the methodology proposed in this paper may contribute to bridging the gap between qualitative systemic analysis of individual texts and quantitative electronic analysis of large amounts of language data. I came away from Liverpool feeling that the 29th International Systemic Functional Congress had been one of the most satisfying conferences I could remember. Looking at the list of participants (and a special thanks to the organisers for giving out that list at the beginning of the conference, rather than at the end, or not at all), I found I had spoken personally to more than a hundred of those present: an indication not only of the relaxed and friendly atmosphere but also of how easy it was to move around and find a place to sit and talk. And since I wasn’t presenting a paper myself, I had leisure for listening to others; I heard all the plenaries, and a good number of sectional papers as well.